The very basic core of a man's living spirit is his passion for adventure ~ Christopher McCandless. From well-preserved heritage sites to scrumptious food and everything in between, there is something for everyone in Sharjah. If you want to indulge in adrenaline-pumping activities on your Sharjah holiday, then make your way to Mleiha which is sure to satiate the adventure bug in you. Here are some of the adventure activities you can enjoy on your vacation. For all you bikers, go for Quad Biking. 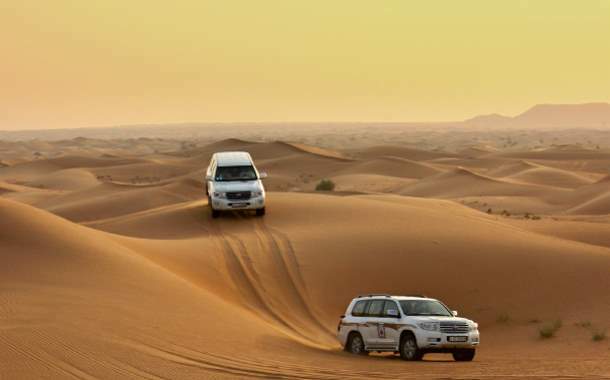 Enjoy the exciting experience of driving the quad bike on the sand dunes. Discover the archaeological historical sites and treat your eyes to the breathtaking vistas of Sharjah. You can take the Camel Rock Tour and see the Camel Rock aka Fossil Rock. On this excursion, along with adventure, explore the dunes and learn about the unique rock that resembles a camel’s head. If you’re into hiking, head to the Faya Caves. Learn about the history of the caves and check out the ancient tools dating back to the Stone Age. Catch a glimpse of the flora and fauna found in the desert landscape. Take the Dune Buggy and get your adrenaline rush as you drive across the Faya Dunes and the Mleiha Desert. After the twists and turns, enjoy the striking view of the region from the top and take beautiful photos of the sunset.